Train travel is the best way to get around Germany. Trains run regularly and cheaply to every corner of the country and are fast and efficient. Deutsche Bahn is the German Railway company offers a comprehensive site within Germany and extending into the rest of Europe. Their site offers info in English with train schedules, travel deals, and the ability to buy tickets online. But sometimes you need to speak to a real German person, or just interpret your train ticket or schedule in German. 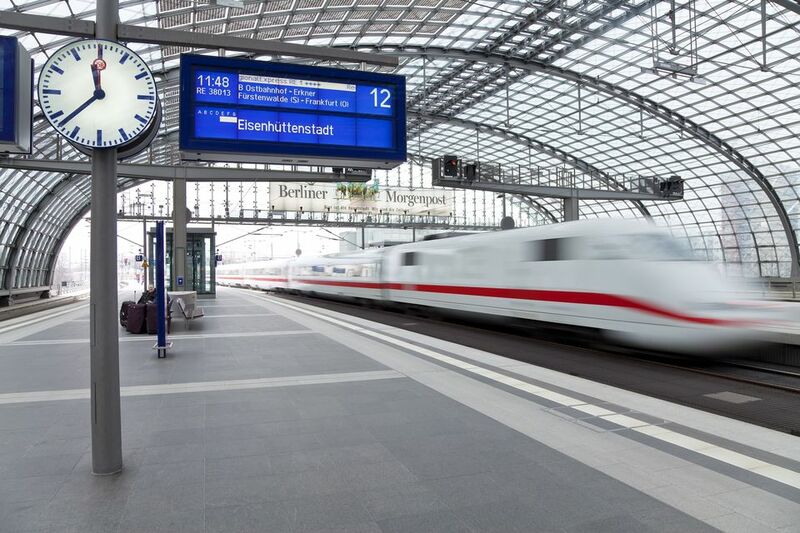 Try out some deutsch with the agent at the ticket counter or your fellow travelers on the train. It's true that most Germans speak English, but ein bisschen (a little) German can open a lot of doors. In this German travel glossary, you'll find the most used German vocabulary and expressions related to rail travel in Germany. Learn how to book your train tickets in German and get to know essential phrases that you can use on the train or in the train stations. Gute Reise! (GOO-tuh RY-suh) - Have a good trip! Could you please help me? Können Sie mir bitte helfen? (KEN-nen zee mer bit-TUH HEL-fen? How much is a ticket to X? Wie viel kostet eine Fahrkarte nach X? Remember the date in Germany is written dd.mm.yy. For example, Christmas 2019 is written 25.12.19. The time may also be a bit different than you are used to as it is based on the 24-hour clock. For example, 7:00 am is 7:00 and 7:00 pm is 19:00. When looking for your reserved seat, the digital display should say your last name above the seat assigned on your ticket. Alternatively, it may be a printed card or a simple description of origin and destination. It is not unheard of for someone to be in your seat as reservations aren't required, but just use our handy glossary to sort it out and usually the other passenger will be quick to move on.